Now that the new Nexus 7 tablet has an official price-tag in India, there are plenty of good reasons to buy it. After many trials and tribulations (well, not really) the Nexus 7 2013 tablet and the Nexus 5 smartphone are finally available in India through the Google Play Store. While the Nexus 5 has been priced at Rs. 28,999 and Rs. 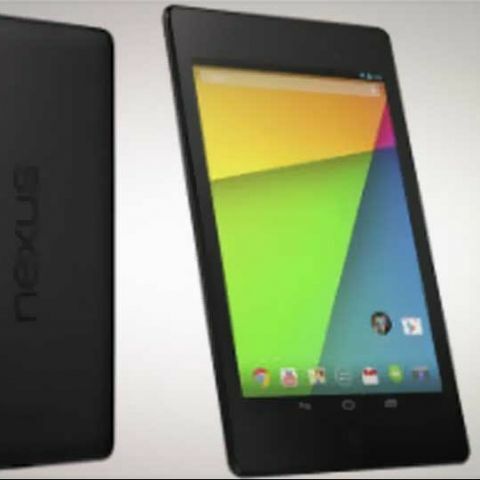 32,999 for the 16GB and 32GB variants respectively, the Nexus 7 tablet is available in three prices for the three variants- the 16GB Wi-Fi only tablet for Rs. 20,999, the 32GB Wi-Fi only tablet for Rs. 23,999 and the 32GB LTE tablet for Rs. 27,999. Now, while those prices are nothing to scoff at, especially considering how there are quite a few 7-inch tablets available in the market with lighter price-tags, we still firmly believe that the Nexus 7 2013 tablet is the one that should be at the top of your shopping list. If there’s one thing that Google doesn’t shirk away from, it’s ensuring that the Nexus devices come with the right specs for their price. The new Nexus 7 may not sport the top of the line Snapdragon processor, but the 1.5GHz Snapdragon S4 Pro quad-core processor still remains a mean customer. Couple that with the 2GB of RAM, Adreno 320 GPU and 3950mAh battery and it’s clear that the Nexus 7 2013 tablet will be the one to beat at around the Rs. 20,000 price-point. Now, even if the processor may not the best overall, there’s no doubt about the fact that the new Nexus 7 tablet has one of the (if not the) best displays in its segment. Of course, there’s a lot of specs we can spout; for instance, the 1920x1200 pixels resolution that grants the screen a pixel density of 323 ppi and the IPS LCD panel. However, what the specs won’t tell you is that the quality of the panel will be exceptional, and as a result, the overall experience will be one of the best you’ll get from a 7-inch tablet. There are a couple of things you can take for granted in life: death, taxes and that when a new Google device hits the market, it will, inevitably, be compared to Apple products. The Nexus 7 2013 is clearly better than the two Apple tablets that are priced similarly (provided you’re okay with a smaller display). Not only does the new Nexus tablet have better hardware powering it, it is also clearly a better value for money proposition considering that the 16GB iPad Mini (Wi-Fi) only costs Rs. 21,900 and the 16GB iPad 2 (Wi-Fi only) is going for around Rs. 24,500. If you look at the numbers, a battery rated at 3950mAh may seem impressive but not by much. After all, even a Galaxy Tab 3 has a 4000mAh battery. However, we did manage to test the new Nexus 7 and we can tell you that in terms of battery life, it blew all other tablets, in its segment, out of the water. While on average, most other tablets (including the Galaxy Tab 3, the Asus Fonepad 7 and the Xolo Play Tab) lasted about 5.5 to 6.5 hours in our continuous video playback test, the Nexus 7 2013 choked only after a phenomenal 9 hours. So, if you pick up the new Nexus 7, you can expect it to easily last over a day of regular use. One pertinent point that potential purchasers of Android products ponder over is whether their device will get future Android updates. Well, since the new Nexus 7 tablet is a ‘Nexus’ product, you can be assured that it will get at least the next two major Android OS updates over the next year and a half. Not only that, the Nexus 7 will also be one of the first products to receive any Android updates, and definitely earlier than those made by third-parties like Samsung and HTC. This is one reason that will cease to matter in a maybe a year or so, but till then, if having the latest tablet apps is your primary concern, then one of the iPads will be a better buy than the Nexus 7. The Nexus 7 still has access to a lot of excellent apps but Apple still has the edge when it comes to apps that have been optimized for tablet displays. None of the new Nexus 7 tablets can be used to make phone calls, even the one in which you can slot in a 3G SIM card. So, if you’re looking to make calls with your next tablet, it shouldn’t be the new Nexus 7. We are of the opinion, however, that using a 7-inch tablet as a phone with it stuck to the side of your head does not help you look too bright, but hey man, that’s just, like, our opinion. This may be a dealbreaker for many of you who may find the 16/32GB of storage space too limited. Like its predecessors, the new Nexus 7 also doesn’t have a microSD card slot, which means that if you plan on loading up your tablet with a ton of multimedia files, the Nexus 7 should be low on your shortlist. You can order the new Nexus 7 tablet from the Play Store right now.